Are you tired of sporting a Hagrid-like mane all the time? We feel you! For those with naturally frizzy locks, taming your hair is a constant struggle. It becomes unavoidable to use hair styling products, especially hair gels, to control flyaway hair. Even if your hair is pretty manageable, once in a while you probably use hair gel to pull off a Victorian hairdo or rock the natural texture of your curls. Even for men, hair gel is a must-have to get an uber-cool slick look or go spiky. After all, Johnny Depp could not pull off Donnie Brasco hair without any hair gel, right? However, like everything else, excessive use of commercial hair gels does no good to your hair or scalp. Hair products often contain chemicals with names so complicated that it is difficult even to comprehend what they would do to your body. Sometimes, they can lead to complications like allergies, skin irritation, endocrine disruption, and neurotoxicity as well as breakouts on the scalp and forehead. So, is it worth exposing your body to all of that? No, thanks! 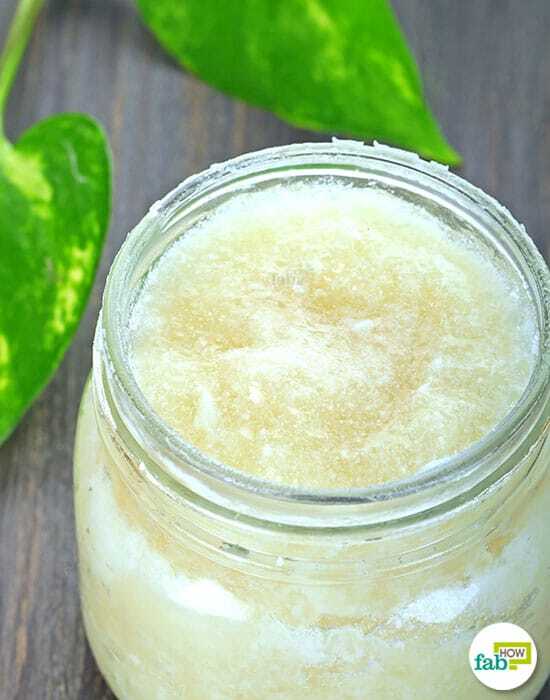 In fact, if you want to go all natural, you can try out these DIY shampoos for gorgeous hair. So, then what are you waiting for? 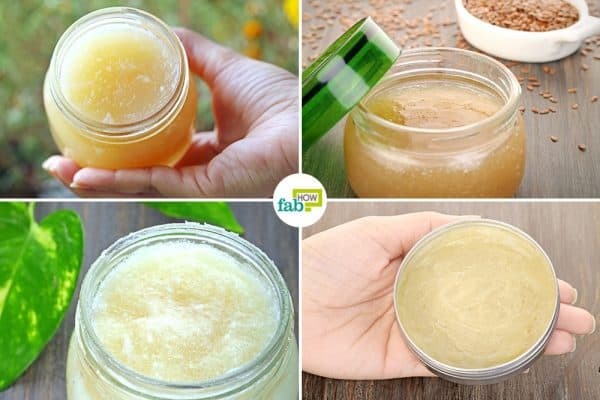 Use these 4 incredible recipes to make DIY hair gel easily at home. Just give them a try and see which one holds your locks the best. Gelatin is an excellent source of protein. It is a pulverized form of collagen that is required by your body to maintain healthy skin and also to make your hair strong and shiny. 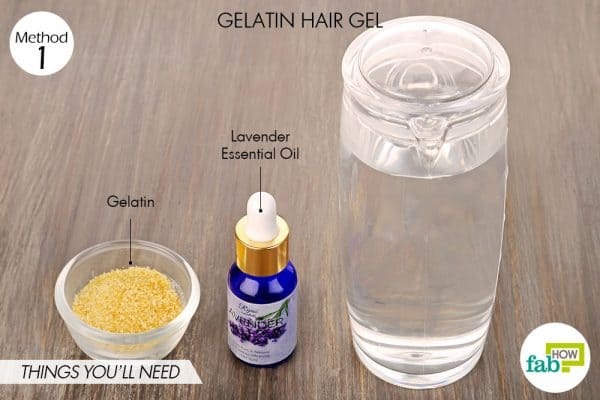 Making a hair gel out of the gooey gelatin will not only keep your hair in place but also nourish it in the process. 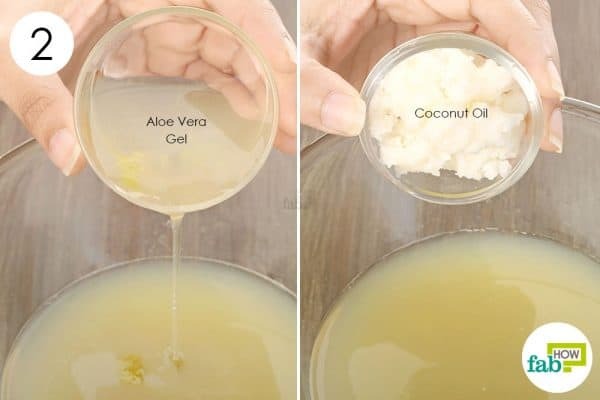 You can also use gelatin to make DIY peel-off masks to get rid of blackheads. The recipe is pretty simple, using just gelatin and water. You can add any essential oil of your choice to make it smell nice. 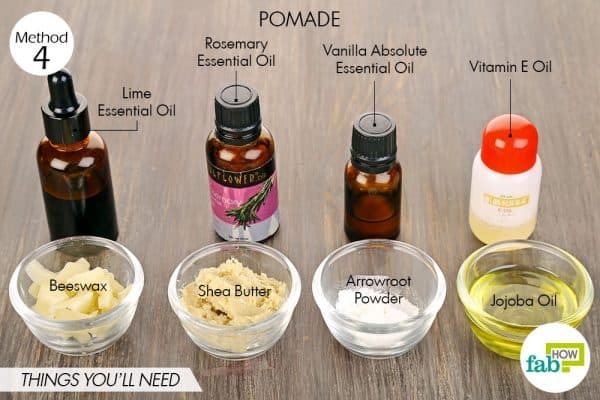 Essential oils also have healing properties that will provide more benefits for your hair when you make DIY hair gel using this recipe. Arrange a double boiler. 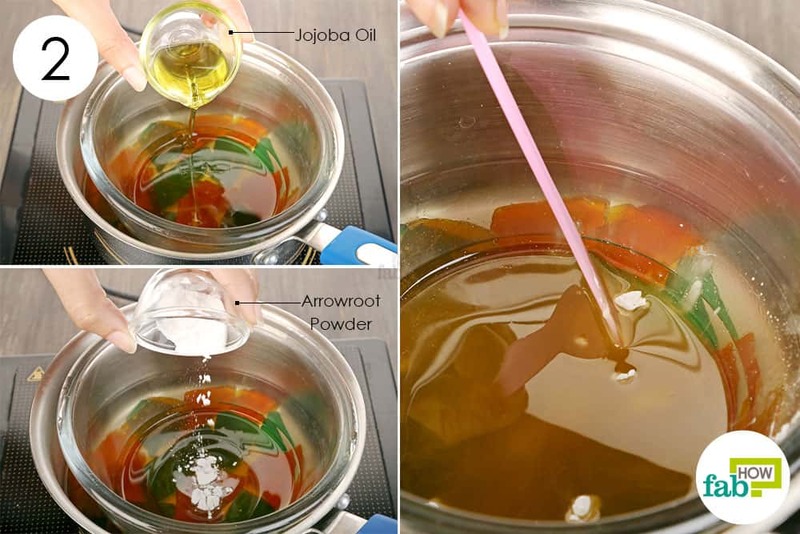 You can learn how to set up a double boiler here. Pour 1 cup of distilled water into the bowl of the double boiler. 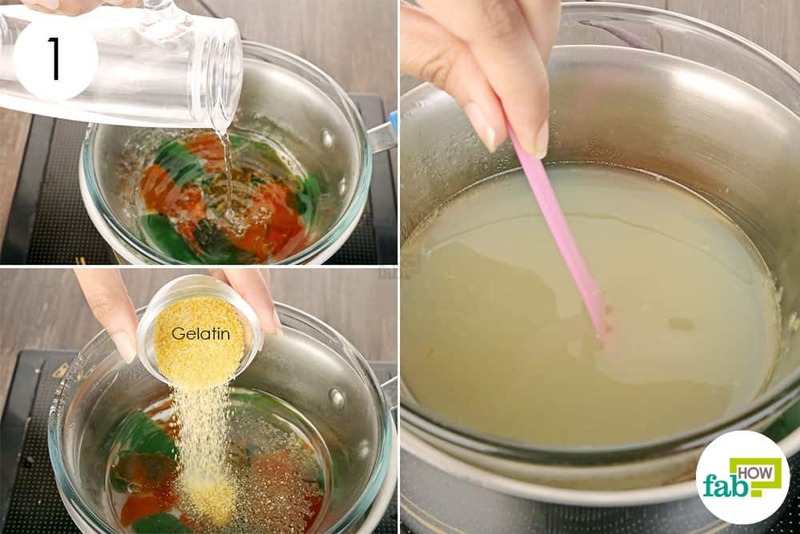 Add 1 tablespoon of gelatin to it. 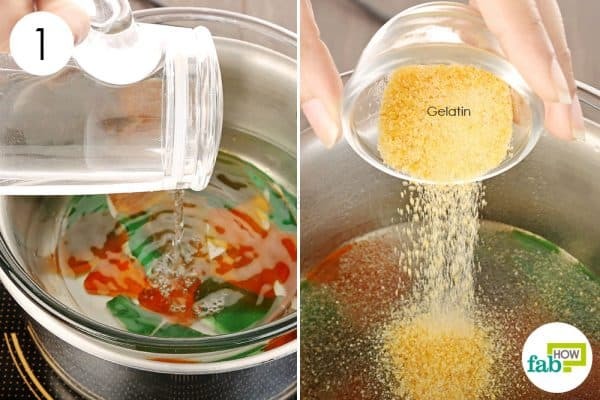 Continue to stir on low heat until the gelatin is completely dissolved in the water. Once done, remove it from the heat and allow it to cool off a bit. Add 4 to 6 drops of lavender essential oil to the blend. You can choose any other essential oil as well. Give it a final stir, then transfer the blend to an airtight container and put the lid on. Refrigerate it for at least 3 hours to allow the gelatin to set. Once it has reached a gel-like consistency, your DIY hair gel is ready to use. You can use the gel on wet or dry hair. Just rub a dollop of the gel between your hands and work it into your hair. The gel will be good for up to 2 weeks when kept refrigerated. If you prefer a vegan recipe, you can also make DIY hair gel using flaxseeds. When soaked and boiled, flaxseeds leave the water thick and viscous, giving it a gel-like consistency. 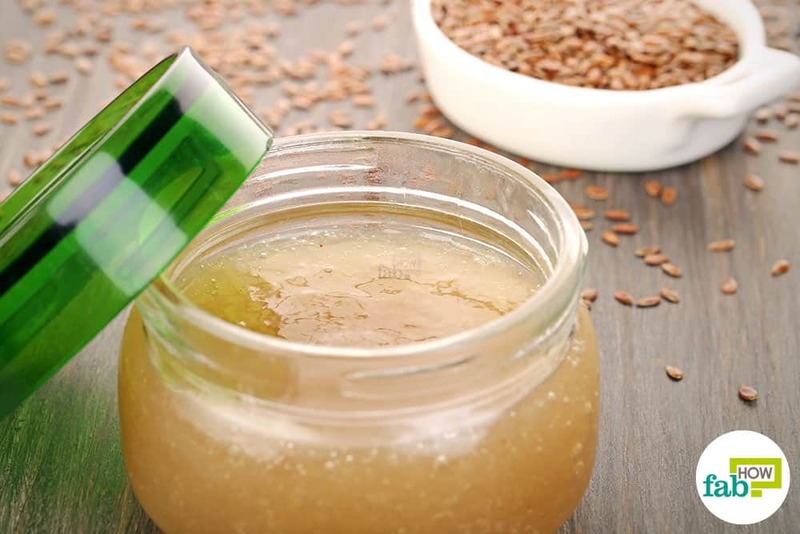 Flaxseeds are also rich in omega-3 fatty acids that will nourish your hair and prevent scalp troubles. 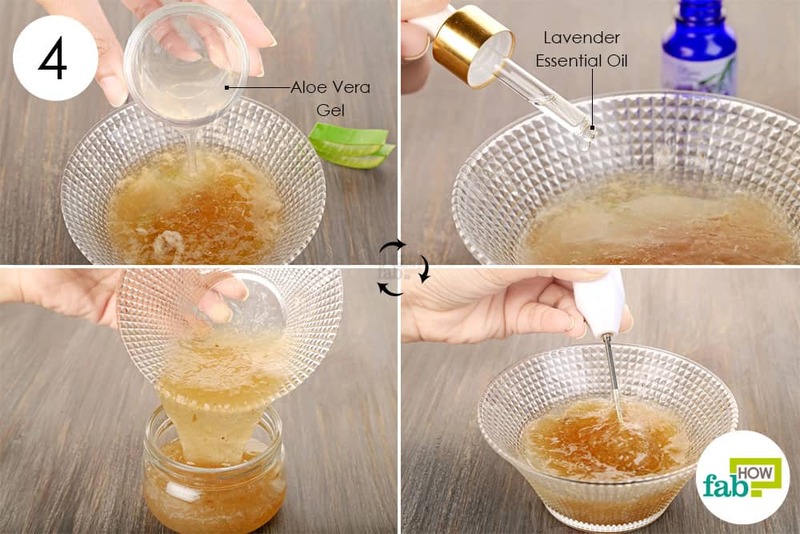 You can also add some aloe vera gel to condition your hair. 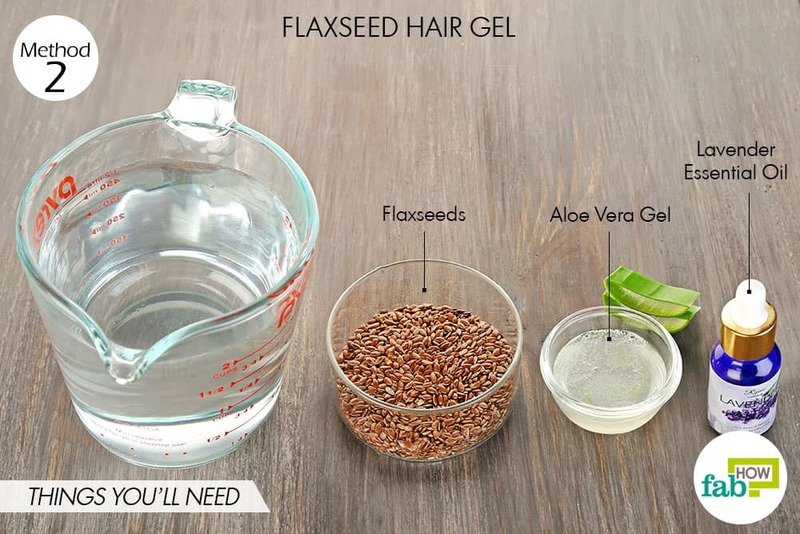 Since flaxseeds and aloe vera gel won’t make for a hair gel that smells very appealing, you can add a few drops of essential oil of your choice. Lavender, rosemary, and khus (vetiver) essential oils stimulate hair growth and reduce thinning of hair. Chamomile, patchouli and clary sage, help to soothe the dry, irritated scalp. Peppermint and petite grain influence the sebaceous glands and reduce oiliness of hair. You can have a combination of oils for multiple benefits. This hair gel works best for curly and wavy hair. You can alter the quantities to meet your styling needs. 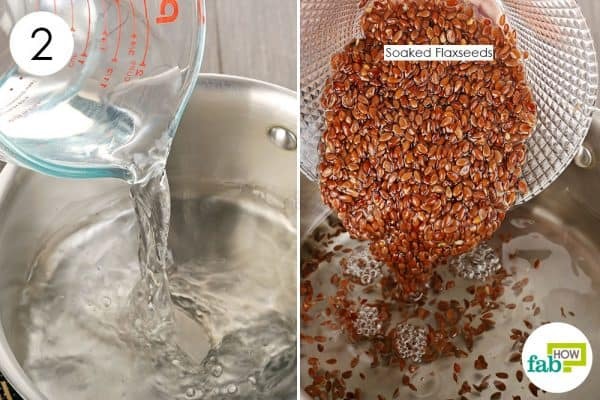 Add more water to get a thinner gel for light to medium hold or more flaxseeds for a thicker consistency and a stronger hold. 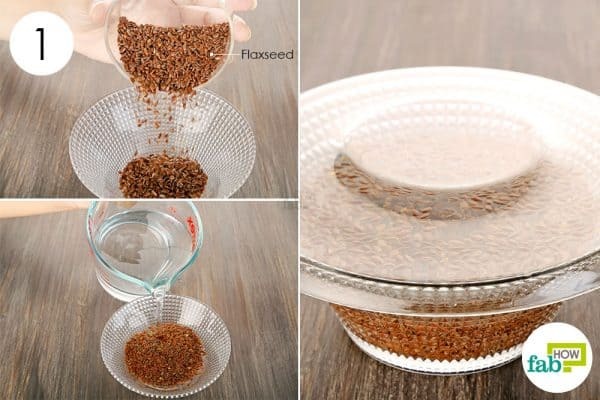 Put ¼ cup of flaxseeds in a large bowl. Fill the bowl with enough filtered water so that the seeds are completely submerged in it. Cover the bowl with a lid and let the seeds soak overnight. Pour 2 cups of distilled water into a large, deep pan. 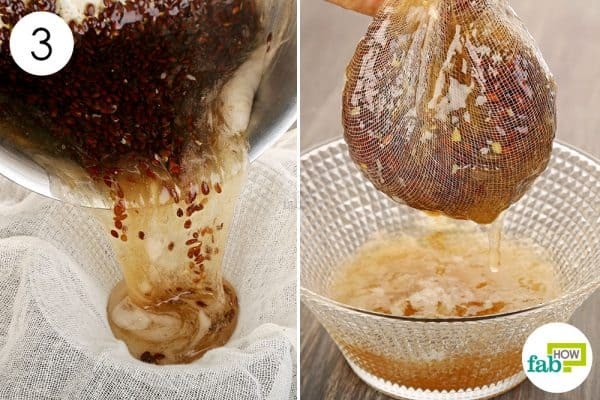 Add the soaked flaxseeds along with the water they soaked in. Bring the water to a boil on high heat, then let it simmer for 10 to 15 minutes on medium heat. Stir occasionally to prevent the seeds from sticking to the pan. Keep checking the water with a spoon until it becomes gelatinous. Once done, remove the pan from the heat. Place a muslin cloth over a bowl and pour the mixture into it in order to strain it. Bundle up the cloth and squeeze out the remaining gel. Allow the gel to cool off. Finish up by adding 4 or 5 drops of lavender essential oil. Mix everything together using a hand blender. Transfer it to an airtight container and use as needed. 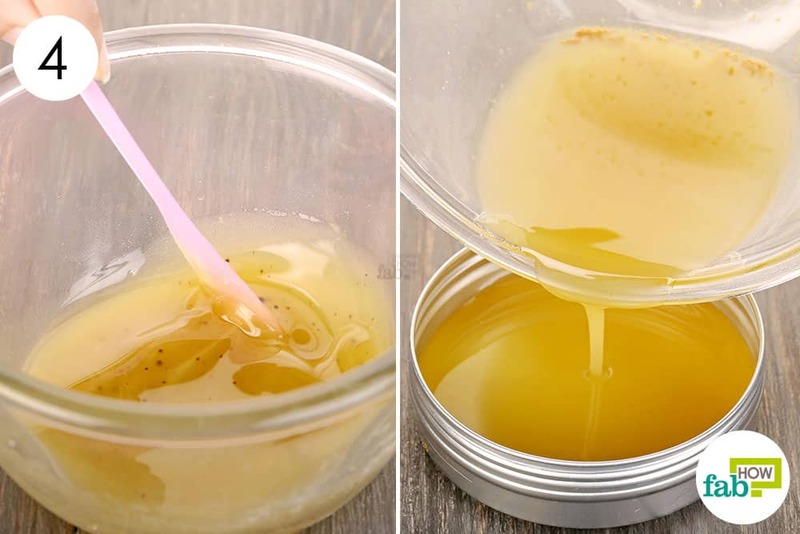 This DIY hair gel will stay good for 1 week when kept refrigerated. 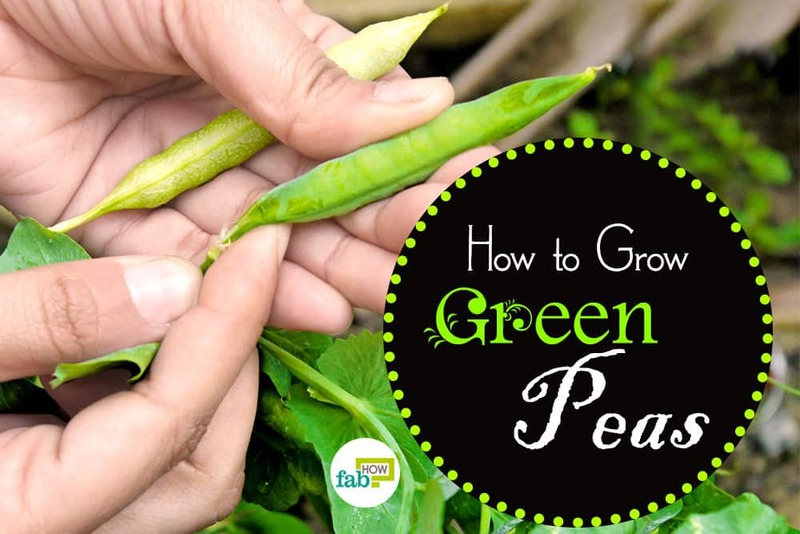 If you have some of it left after 1 week, you can freeze it in an ice tray for up to 1 month. 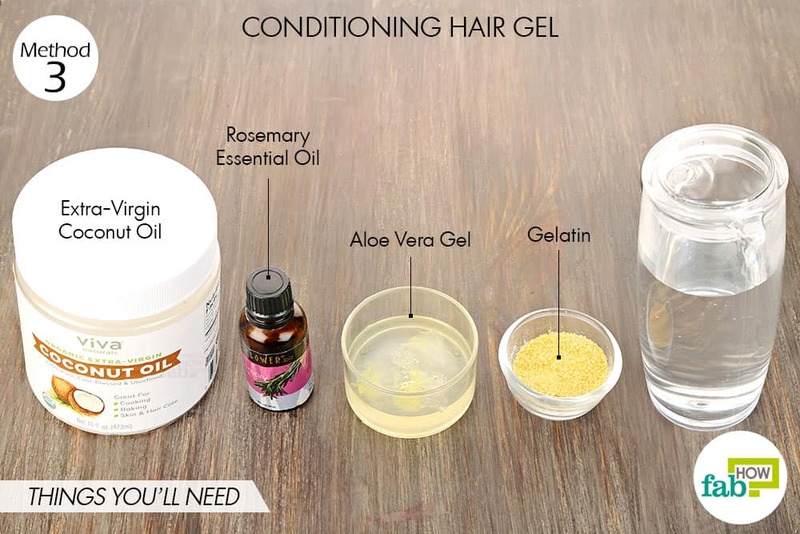 Another side effect of using commercial hair gels is that they tend to make your hair very dry and your scalp flaky. Instead, try this conditioning hair gel using coconut oil and aloe vera gel along with gelatin. The recipe also uses rosemary essential oil that will counter scalp troubles like dandruff and hair loss. Other essential oils like chamomile, patchouli and clary sage, help to soothe the dry, irritated scalp. Pour 1 cup of distilled water into a double boiler. Continue to stir the mix on medium heat until the gelatin is completely dissolved. Stir to blend the ingredients well. Add 5 or 6 drops of rosemary essential oil. Stir it and transfer the blend to an airtight container. 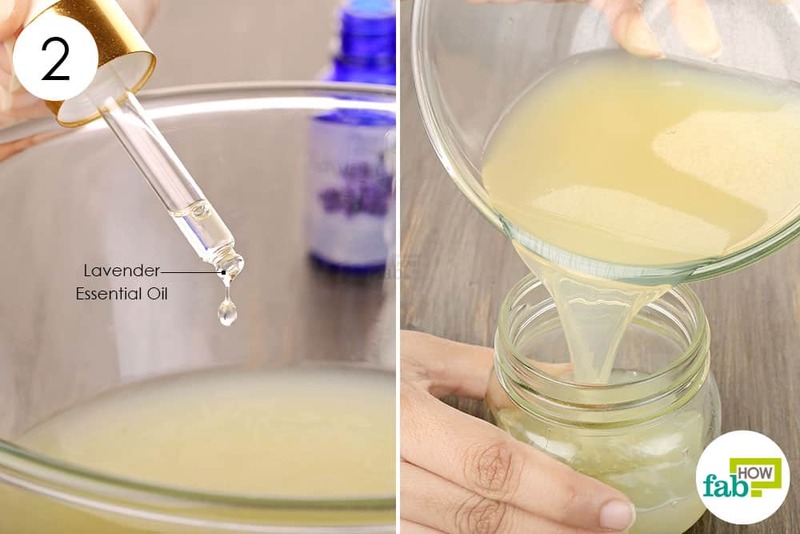 Allow the blend to cool off and turn into a gel, then put the lid on the container. When you’re ready to use it, rub some of the gel between your hands. Scrunch it into your hair and you are done. The gel can be stored up to 2 weeks when kept refrigerated. If you wish to further condition and nourish your hair, then you can try out these DIY coconut hair masks to solve all your hair problems. If you are fond of a sleek hairdo, this pomade recipe is a must-try. It uses a blend of shea butter and beeswax for that waxy texture and oils for extra nourishment and extended shelf life. The arrowroot powder helps tone down the shine of the oils. There is also a concoction of essential oils in the pomade that will make it smell pretty awesome and also ensure a healthy scalp. 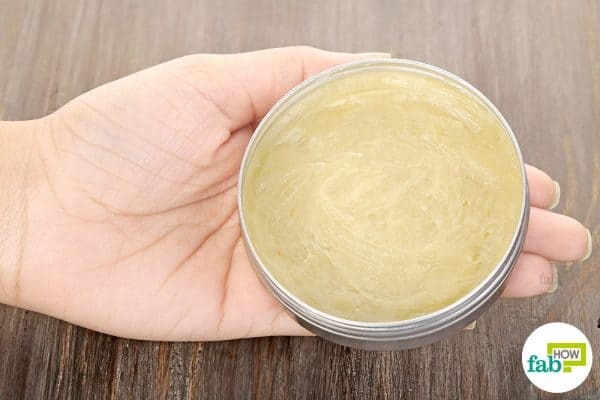 This DIY pomade will give you light to medium hold. Arrange a double boiler over the stove or hot plate on medium heat. 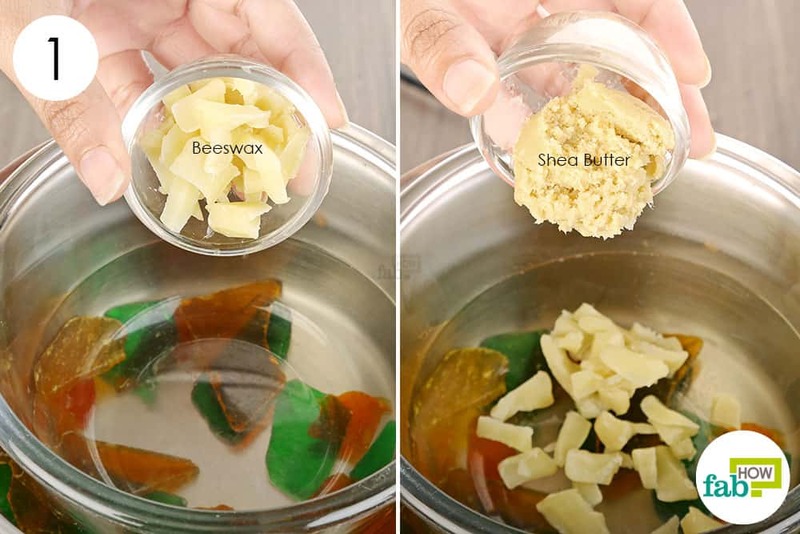 Drop 1 tablespoon of beeswax shreds into the double boiler. Add 1 tablespoon of shea butter. Stir occasionally and allow the two to melt and blend together. Optionally, add 1 teaspoon of arrowroot powder to the blend. Stir well to make sure there are no lumps. Once you get a consistent liquid, remove the bowl from the heat. Add about 1 teaspoon of vitamin E oil. 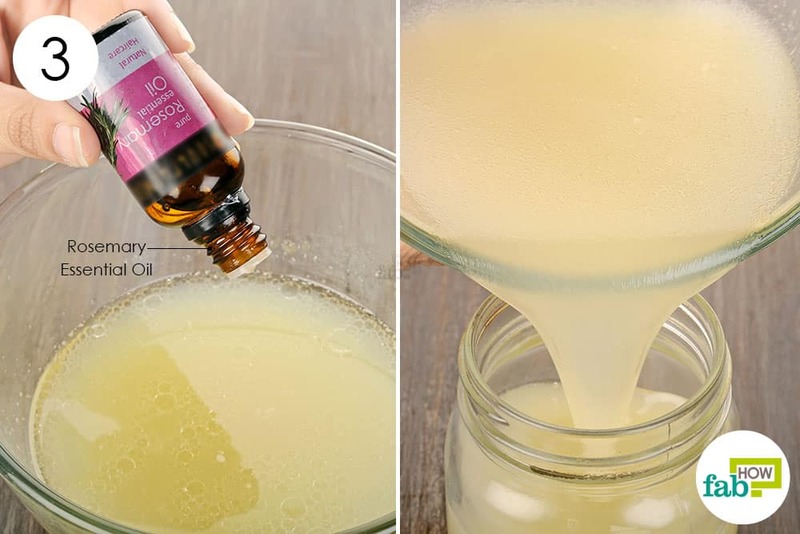 Add 15 drops of rosemary essential oil, 10 drops of lime essential oil and 5 drops of vanilla absolute essential oil. 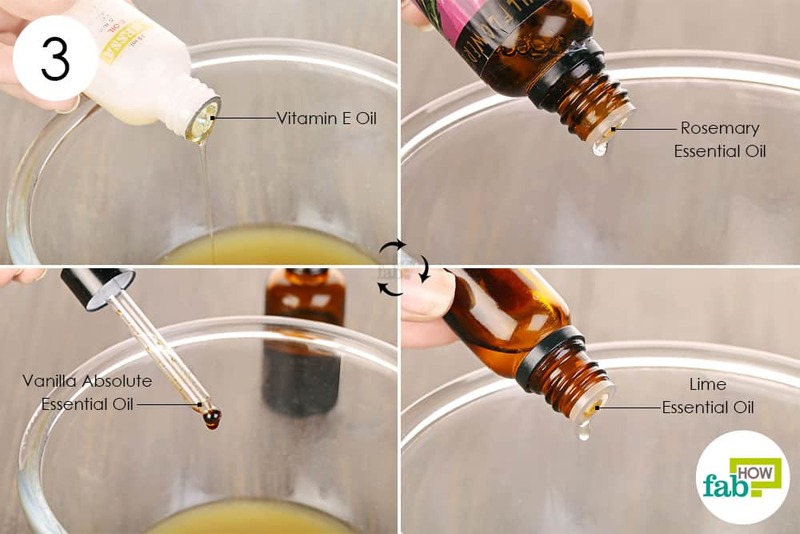 Stir the solution well to blend in the essential oils. Transfer the final solution to a shallow container and allow it to solidify overnight. Store the container in a dark, cool place. When you are ready to use it, just take a small amount on your fingertips and rub it over your hair to set it the way you want. 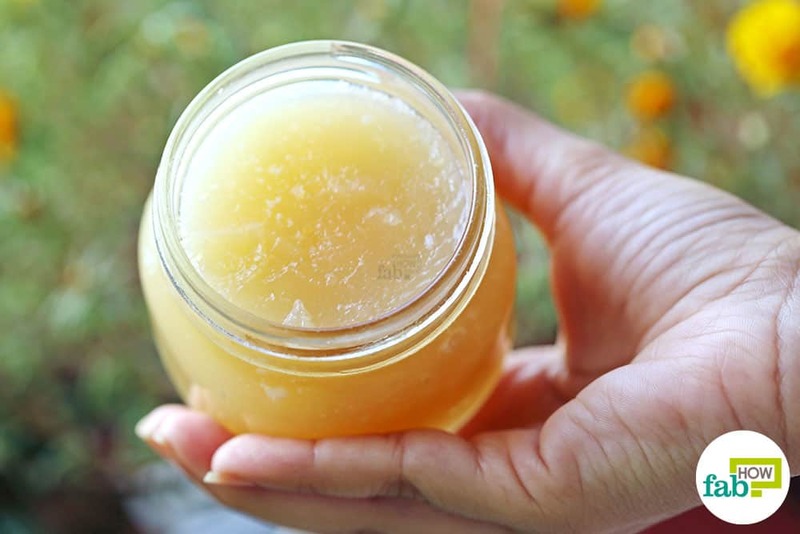 This DIY pomade can be used for up to 1 month. If you do not want to use gelatin, you can use agar in its place. Always apply hair gel to clean and washed hair, or else the natural oils and dirt in the hair will make the gel less effective. For men, just a quarter-size amount of hair gel is enough to set short hair. You can use your comb to distribute the gel through your hair. Is the gelatin from a grocery store? If not please explain. And yes, it’s the same gelatin you get from your grocery store. How long does it take to become gel? It seems like it’s taking a long time.